We are pleased to invite you to attend the 17th International Conference on Near Infrared Spectroscopy, NIR 2015, the most important international event in this area. 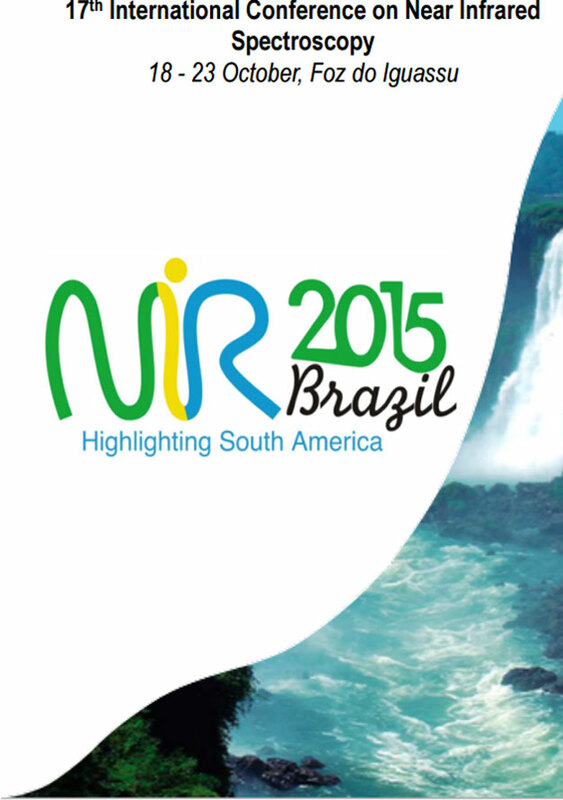 NIR 2015 is organized under the auspicious of the International Council for Near Infrared Spectroscopy (ICNIRS), and will be held in the Mabu Resort Hotel, Foz do Iguassu, Brazil, from 18th to 23rd October, 2015. The theme of the conference, Highlighting South America, emphasizes the fact the event is being organized for the first time in Brazil and South America. With the participation of the principal researchers in the field, the event will represent a week for interchange of knowledge and experiences. There will be the opportunity for professionals and students to present their contributions to the field, and be in close contact with international experts. The organizing committee believes, considering the present scenario in Brazil and in other countries of South America, the event will represent a true breakthrough in the way NIR spectroscopy is approached by South Americans. The venue of the event, Foz do Iguassu, is the location of one of the seven wonders of nature, the Iguassu Falls. The town is located in the triple border of Brazil, Paraguay and Argentina. Because it is the second most visited place in Brazil by most foreign visitors, there are regular daily flights connecting the main Brazilian entrance airports to Foz do Iguassu, for those coming from abroad. We are looking forward to meeting you in Foz do Iguassu for an unforgettable and profitable scientific and social meeting of the Near Infrared community.